The computer manufacturer Acer last quarter report was less than encouraging for its share holders. During the last quarter of this year, Acer reported a loss of $11.4 million, which is in stark contrast of the results from only one year ago where Acer made a revenue of $1.86 million. Acer has attributed this loss to increasing DRAM prices as well as research and development costs for new manufacturing processes. However, the single largest explanation is that the sales figures have gone down by over 30%. Acer has traditionally only focused on Windows for their computers. With the less than optimal market reception of Windows 8, obviously Acer's sales figures has also taken a hit. Therefore, Acer has announced that it will expand its products based on the Google operating systems Android and Chrome OS. The strategy was taken as a measure to be less sensitive to the success of the Microsoft operating systems. 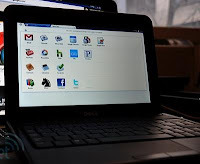 The chairman of the board at Acer has said that during 2013, more than 10% of the turn around will originate from Android and Chrome OS and this number will increase to 30% in the year of 2014. Personally, I think that it is great that Acer has decided to not rely on one single operating system. In particular when the said operating system is from Microsoft. Microsoft has historically been known manage to screw up every second operating system, and lately they simply do not radiate any confidence at all. Hopefully more manufacturers will follow Acer's footsteps and maybe even start to seriously explore Linux in general, which should only result in positive effects for the consumers in terms of choices and computer prices.